Liquid Ate eliminates organic stains and odors, unlike other cleaners which only mask the smell. The source of stains and odors are often hidden beneath the surface. Liquid Ate attacks the root of the problem, making your home a cleaner and healthier place to be. The formula contains special deterrents that signal to your pet not to use the same spot again. 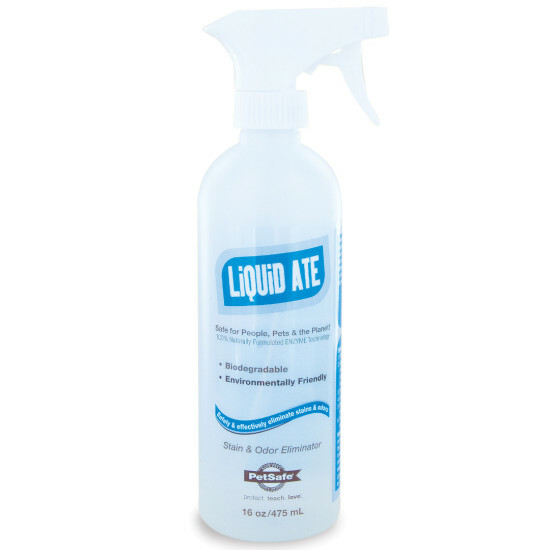 With its unique enzyme formula that’s free of harsh or harmful chemicals, Liquid Ate is a safe, environmentally friendly cleaner for anywhere in your home.